End of Summer’s best deals include spacious lots close to the beach from $31,900…a rental income deal with huge potential in Brazil…and lake-view lots in Costa Rica from $19,000. Tempted? Read on to find out more about my latest scouting report..
You could head to the Arenal region instead. This area is a hidden jewel. A huge lake sets the scene, surrounded by green hills and mountains. A volcano sends plumes of smoke skywards. Forests, tumbling waterfalls and rich pastureland complete this pretty picture. You’ll love spending time here. You can kayak, wind-surf, fish, hike, explore cloud forests, ride horses, zip-line or sail in Arenal. You can relax in thermal spas and pools. What’s more, you can enjoy a strong coffee and a sweet pastry…or a gourmet seafood dinner….or you can meet up with the small group of expats that live here already. 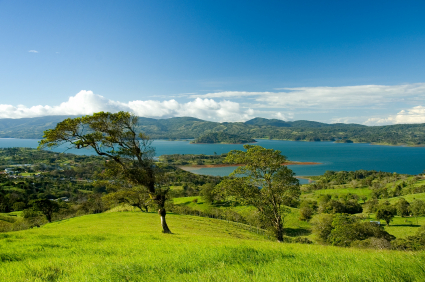 You can buy a lake-view lot in Arenal from just $19,000. That’s not a typo, by the way. And the lot isn’t the size of a postage-stamp. It’s a full half-acre. These are premium units, in a premium property, in a premium location. They’re your way to profit from a chronic shortage of office space. The starting price is only $105,076 – and you can spread payments over five years. Altiplano is the most upscale neighborhood in this area. New condo towers springing up here offer a world of luxury. That includes imported kitchens, private bowling alleys, and high-tech gyms. Despite the high prices, there’s no shortage of buyers for condos in Altiplano. But there is a shortage of office space here. Brazilians prefer to live close to where they work. A cardiologist living in Altiplano would like to work in Altiplano, too. And one developer is about to give them that option. He is launching a new tower. It’s a mix of commercial, office and residential space. Amenities will include a 100 meter pool, spa, cafe and gym. Office units in the building will start from $105,076 for 33 square meters (352 square feet). You pay $20,000 down, and 1% a month over five years. Office space like this could generate yields of 10% or so on completion. These units will sell fast. Want to live close to this beach? There’s no doubt that this place is beautiful. 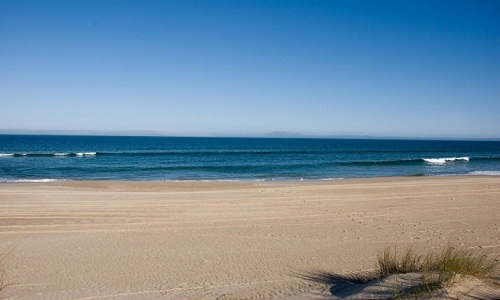 Wide, white beaches fringe the navy-blue ocean. Sand dunes rim the beach, sweeping back to meet thick pine forests. Little beach towns dot this coast. They come alive in high season, filling with surfers and backpackers and families on vacation. Out of season, it’s sleepy and quiet. You’ll have whole beaches to yourself. This place isn’t well-known right now. You won’t see movie stars on the beach or five-star resorts. But that means you won’t pay movie star prices for a property. And it’s a place that’s on the move. One developer has started a $350 million luxury project. Another plans to build a chic community aimed at wealthy Argentinean buyers. We found a private community in this area close to a stunning beach and a large lake. The community will have a 9-hole golf course and tennis courts. Yet you can buy a half-acre lot here from $31,900. Spending a little more ($69,300) gets you three-quarters of an acre, and an ocean view. These lots are in the right place, at the right time. They’re ahead of the development path that’s sweeping along this coast. These are three very different opportunities. But they have one thing in common: upside potential.